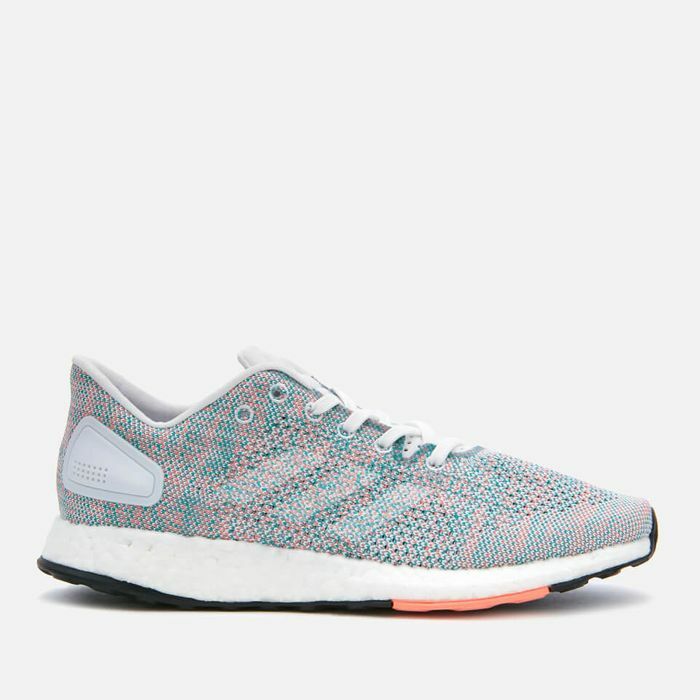 Women’s ‘Pure Boost DPR’ urban running shoes from adidas with textured knit uppers with breathable panels and targeted zones for a custom fit and premium natural feel. Built for optimal comfort and enhanced support, the lightweight low-tops comprise a round toe and lace-up fastening with a perforated tongue for ventilation. Stripped-down cushioning, a lower midsole drop and a wider forefoot platform give them a close-to-the-ground feel on city streets. Set upon the brand’s most responsive Boost midsole for shock absorption and flexibility, the trainers feature a fitcounter heel and an outsole detailed with a ‘Stretchweb’ tread that flexes the underfoot for an energised run. Embossed branding on the suede tongue and the triple stripe logo on both sides add the finishing touches. What do you think of this The Hut deal?